We have a new way for you to view the free upcoming events! Instead of posting it every Sunday afternoon like we have been, we have created a FREE EVENTS PAGE. This will be an ongoing list of free events for the following week. 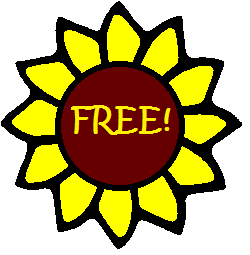 So if today was Tuesday, the free events from today until next Tuesday are listed, if today is Wednesday, then the free events from today until next Wednesday are listed. There will still be a button to click on under "Featured Posts" to the free events, and it will also be listed under the pages. We hope that being able to see a week ahead will help you find more free events than just Sunday to Sunday. As always, give us any feedback that you think will help us improve how you view and find fun events!